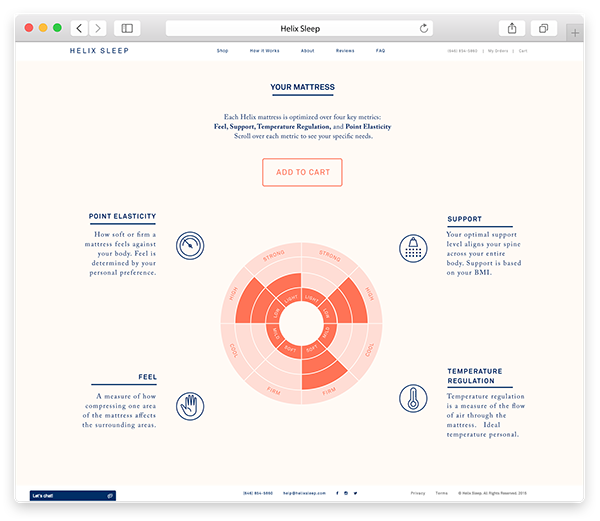 After completing a survey, the user is taken to the specs of his/her personalized mattress. 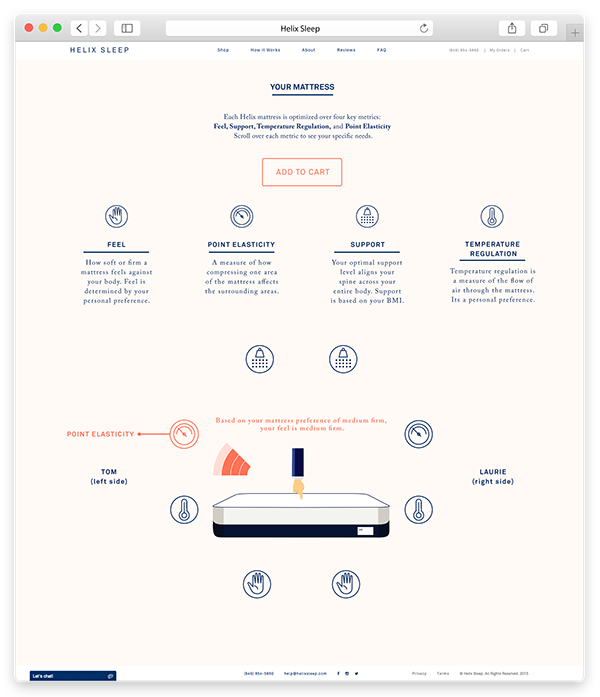 I conceptualized and designed the layout to illustrate the four different metrics (feel, point elasticity, support, and temperature regulation) for both couples and individual users. 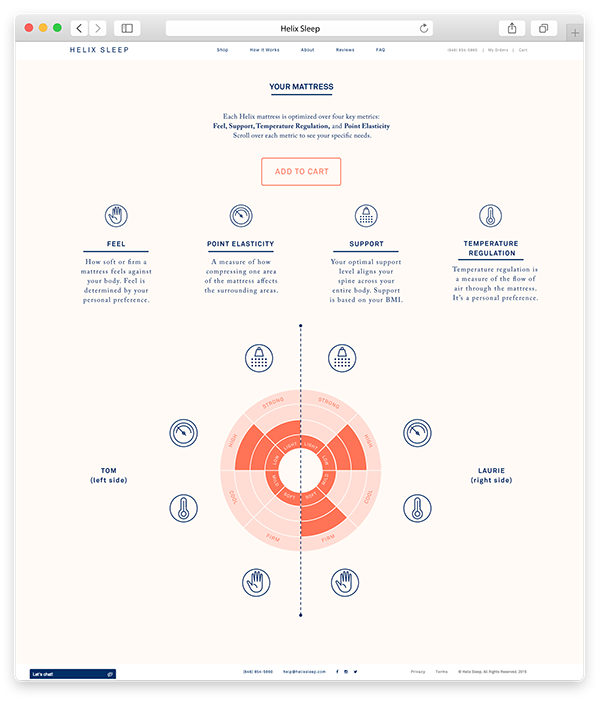 The metrics are organized in a bullseye grid. As the user hovers over each metric icon, an animation appears, further explaining the metric. 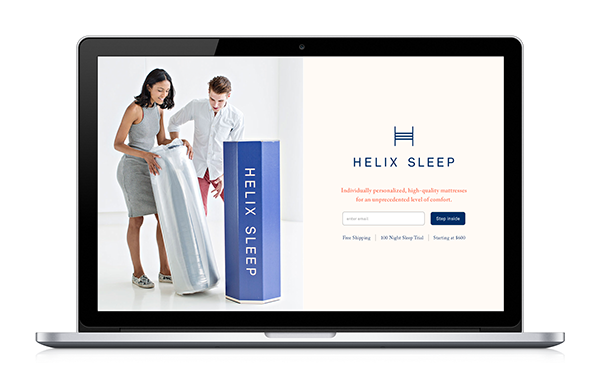 I designed a two page micro-site for Helix Sleep, a mattress retail that specializes that personalizes the mattress buying experience. 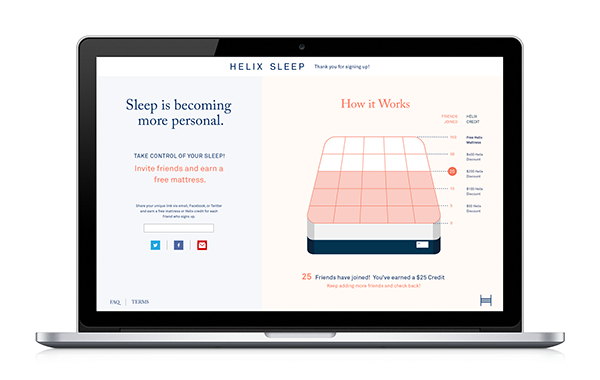 The microsite asks users to invite friends to signup for Helix Sleep to win discounts off of a Helix mattress. I conceptualized and illustrated the mattress incentive tracker. As more friends join, the mattress continues to fill up.